I purchased this Delta 43-205 Shaper from the estate of a former cabinet maker. 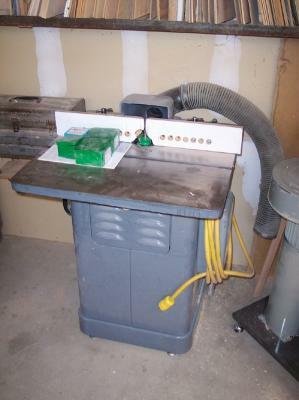 It was in excellent condition and included a tool box full of carbide shaper cutters. I have an opportunity to purchase one just like yours. How much did you pay? Was the auction in California? The one I am looking at has only the fence and spindle, no extras. Thanks for the help.